Austin - Palmer Bus Service, Inc.
Palmer Bus Service has been serving the Austin community by safely transporting students since 2010. We safely transport about 3,500 students each school day in Austin. Austin School District #492 consists of Austin High School, Ellis Middle School, IJ Holton Intermediate School, Woodson Kindergarten Center and four Elementaries: Banfield, Neveln, Southgate and Sumner. Austin is the county seat for Mower County and is about 100 miles south of St. Paul. It is the only Minnesota city outside of the Twin Cities metro area that has a Fortune 500 Company. Mark Enright manages the Palmer Bus Terminal in Austin, MN. In his spare time, he enjoys spending time with his family and friends. Mark likes going to sporting events or watching sports, golfing, or taking day trips to see a different things or different areas. He enjoys that everyday it's something different and has learned to react to the unexpected. 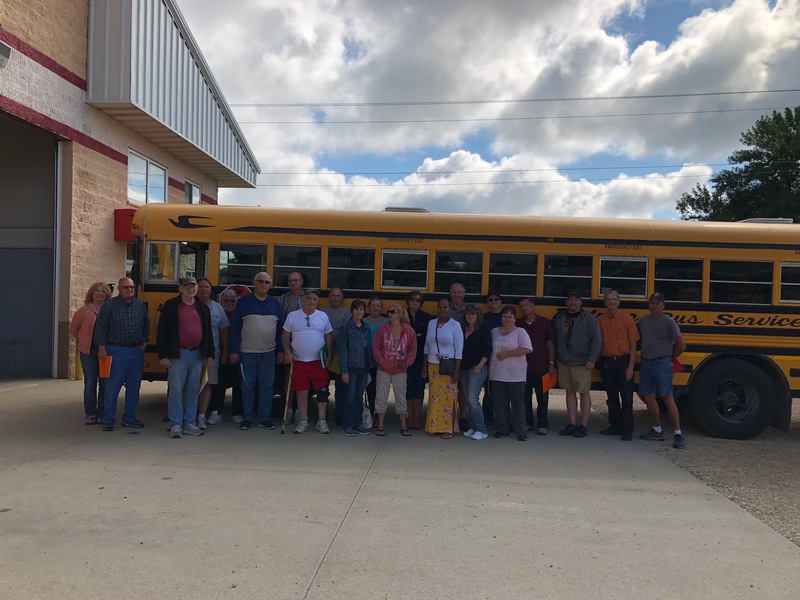 Of all the uses on Minnesota’s 135,000 miles of roads and highways, one set of drivers carry the most precious of all cargo in every city, community and county statewide: School Bus Drivers. The State of Minnesota will celebrate the third annual School Bus Driver Appreciation Day on Wednesday, February 27, 2019 to highlight the dedication and integrity of these professional drivers. School bus drivers carry some 760,000 students twice a day on just about every road type throughout Minnesota, according to the Minnesota School Bus Operators Association (MSBOA). 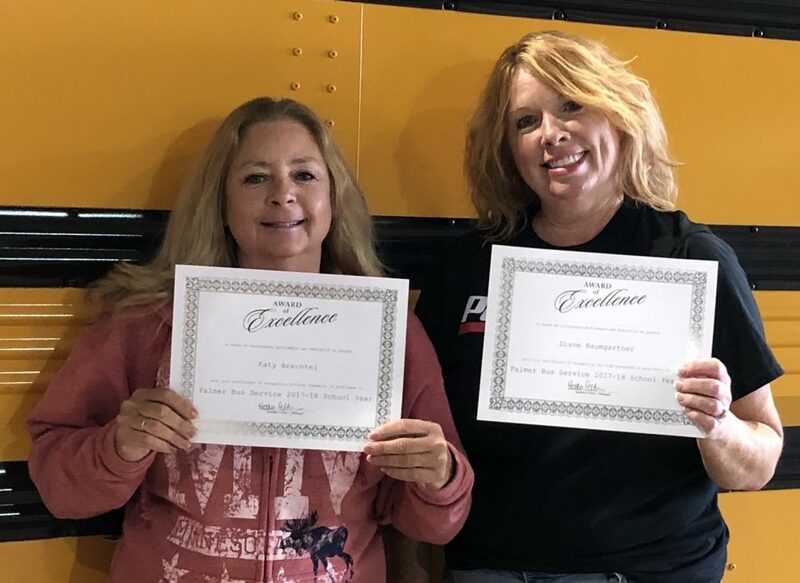 Mankato-based Palmer Bus Services is proud of the part we play in transporting students in 22 different school districts in Minnesota as part of this operation. In their press release, the MSBOA states, "We encourage Minnesotans to organize appreciation activities for school bus drivers across the state to celebrate this important profession. The theme for this year’s event is “760,000 reasons why.” Since school bus drivers safely transport more than 760,000 students to and from school each day in Minnesota, we think this theme is fitting." According to Palmer Bus Service in Austin, Palmer transports 3,390 pre-K through 12th grade students each day. They are our "3,390 reasons why." Like other bus services, Palmer stresses to drivers to watch for and obey school bus laws to help keep our kids safe on their way to and from school! School bus drivers really care about their kids. There is no such thing as "just" a bus driver; they are vital parts of students' daily lives, and in some cases one of the few smiling, friendly faces the kids see every day. Hearing bus drivers talk, you would think these kids were their own grandchildren or children. They know the students' names, habits, parents, and individual personalities. Drivers laugh and smile as they recount anecdotes and happenings from their morning or afternoon routes. They also convey concern when they talk about the sadness they see in the eyes of some of the children. They hear stories about trips, visits from relatives, sporting events, lost teeth, as well as laughs about their pets, friends, siblings, and classmates. School bus drivers have hearts of gold, nerves of steel, and responsibilities far greater than most. Please take the time to thank a bus driver on February 27th and consider joining our team to help serve your community by safely transporting students! Katy is an amazing van driver, she is willing to do extra without even being asked, like if something comes up that she knows about she will do it! She would take the shirt off her back to help anyone out! She has bought back packs for kiddos because they didn’t have one and the parents couldn’t afford one..she drives sped van. Diane is an amazing lady as well! She drives special ed bus, she shows up to work every day with a smile on her face which brightens everyone’s day; you can definitely tell she LOVES her job!